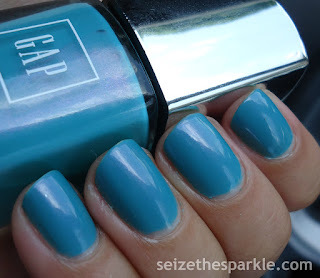 Green Ocean has an interesting history for a nail polish. 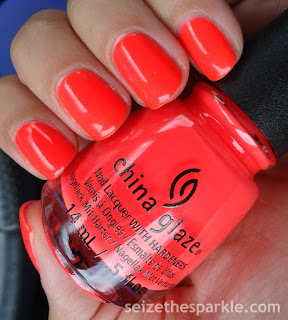 Waaaaay back in the day it was a really big deal because it was one of very few affordable flaky polishes available. Usually, it would only pop up around St. Patrick's Day, and if you didn't get to the display quickly, this little shimmery lemming would be gone. Thankfully, SinfulColors included it as part of their summer collection this year, and polish enthusiasts everywhere collectively cheered! When I look at Green Ocean, I see glittery mermaid magic. In a bottle. But that's probably just me. It's honestly a really well suited name considering the aqua green base that's just loaded with green and blue flakes. And I mean loooooaded. Just one coat for all that shimmery goodness in the photos. 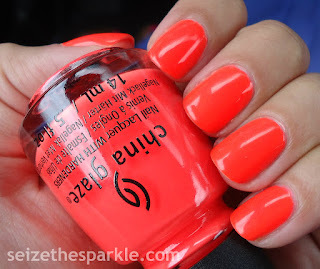 Sadly, the sun doesn't want to come out and play today, but I know this polish would just light up in a ray of sunshine! Application was good. This polish is a little thicker than most SinfulColors polishes, but you don't have to use a lot to get great results! 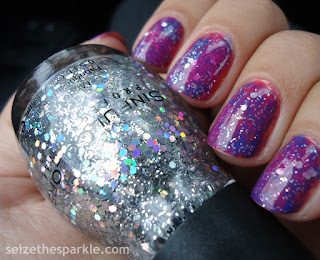 I can feel some of the flakes and see some of them in the photos, but they're not the sharp kind of flakies that some polishes have. In the future, I'd probably go over this again with another coat of clear, just to be sure. 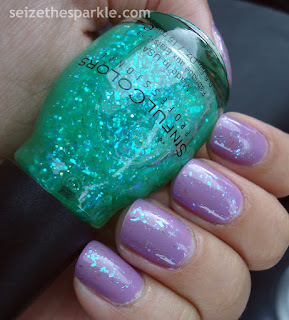 Green Ocean is part of SinfulColors Having a Blast Collection. You can find it on display at Walgreens and other mass retailers for $1.99 a bottle! The full Having a Blast Collection also contains Blue By You, Hot Spot, Out of This World, Ruby Ruby, Snow Me White, and Star Blast-Off. 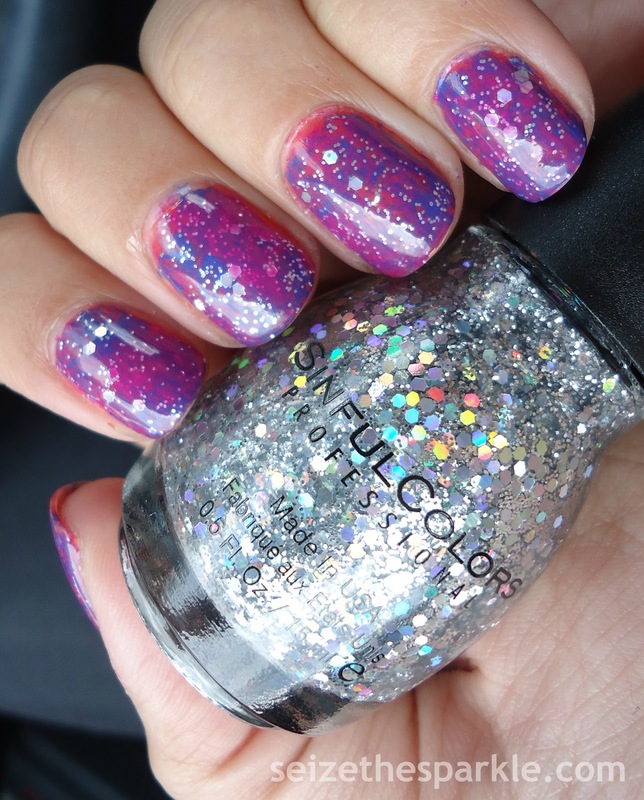 Follow SinfulColors on Facebook, Instagram, and Twitter! 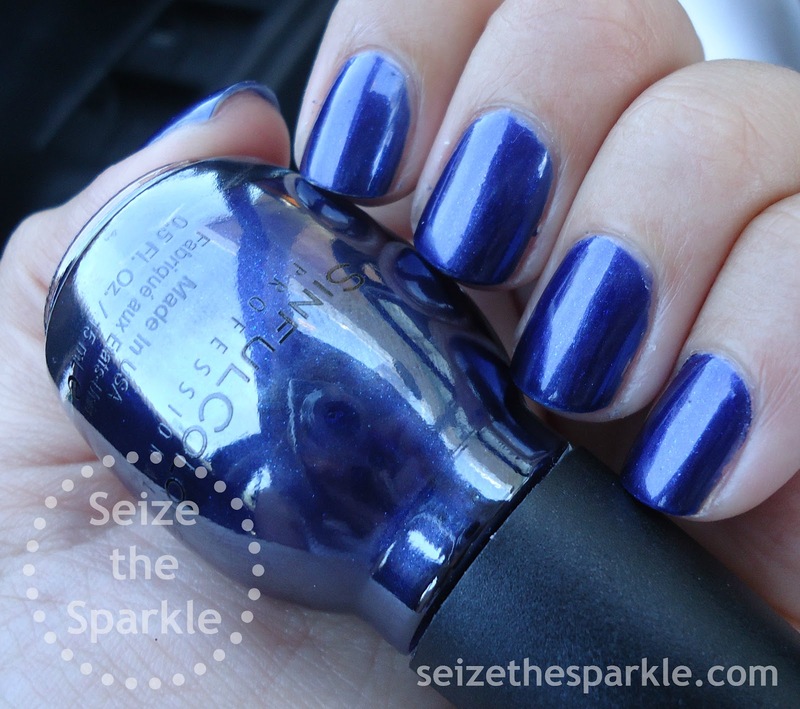 Dark blue shimmers don't always call my name mid-summer, but this one has serious nautical cues, so it just works! 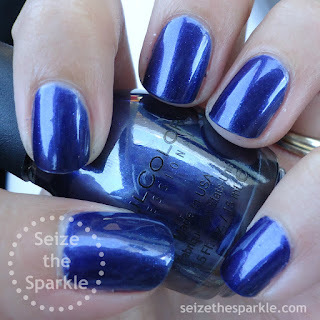 Hot Spot is a royal blue with a little bit shimmer and a whole lot of depth. And isn't the shine factor just incredible?!? Application was great. Most people could probably do two easy coats and be done, but like I mentioned last week, the Sparkle Studio hasn't been fully unpacked and set up. So, I'm dealing with lighting that I'm not used to yet, and erring on the side of caution! And in case you were wondering about removal? I didn't experience any staining when taking this one off. So that's always an added bonus! 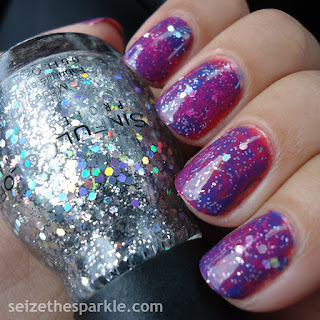 Hot Spot is part of SinfulColors Having a Blast Collection. You can find it on display at Walgreens and other mass retailers for $1.99 a bottle! The full Having a Blast Collection also contains Blue By You, Green Ocean, Out of This World, Ruby Ruby, Snow Me White, and Star Blast-Off. 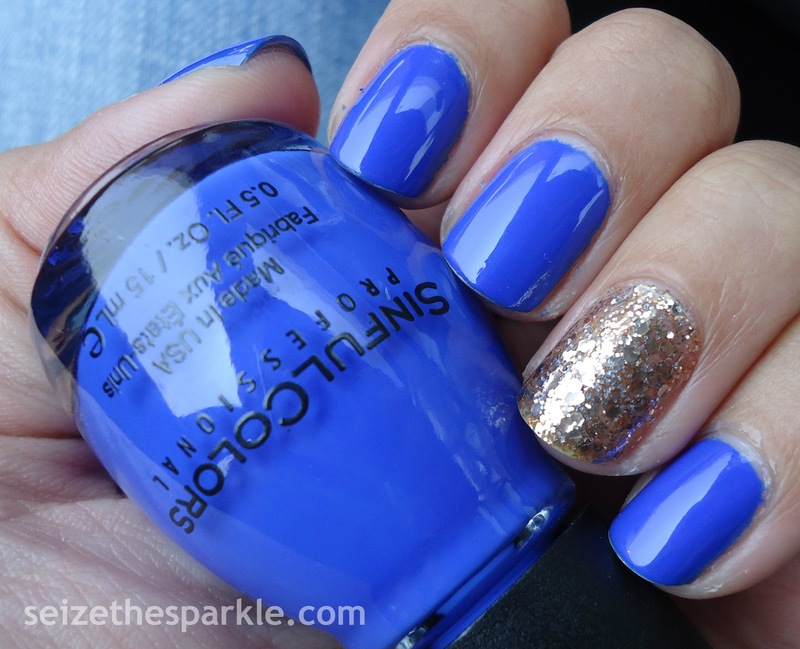 Follow SinfulColors on Facebook, Instagram, and Twitter! 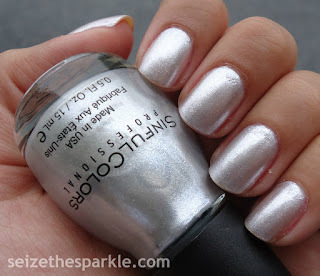 Waaaay back in the day, silver nail polish was definitely my thing. Just not on my nails. On my toes. All summer long. It matched with everything and added a little bling, so I never really needed to change it! 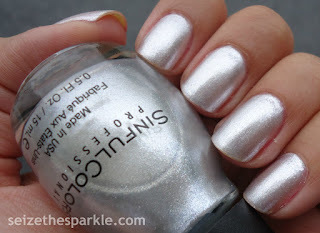 Thankfully I moved on from that phase, but as a result, I don't normally wear silver polish, unless it's for an accent nail. So, I was surprised when I loved wearing Out of This World! So much so that I've already worn it twice! The formula on Out of This World was awesome. 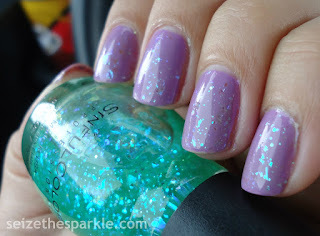 It's buildable, slightly sheer, and falls somewhere between a heavy shimmer and a glass fleck. It's a very light shade of silver, too. At one coat, it could be mistaken for a pearly white. Four coats later and not only have you got a perfect match to bottle color, you've also got a super clean look. This polish was definitely giving off bridal vibes. It definitely wouldn't be out of place on a bride or her bridesmaids! Out of This World is part of SinfulColors Having a Blast Collection. You can find it on display at Walgreens and other mass retailers for $1.99 a bottle! The full Having a Blast Collection also contains Blue By You, Green Ocean, Hot Spot, Ruby Ruby, Snow Me White, and Star Blast-Off. 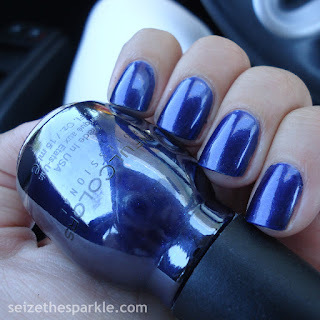 Follow SinfulColors on Facebook, Instagram, and Twitter! 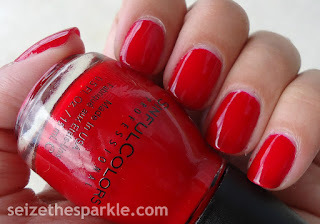 One of my favorite things about red polish? It's always in style. It's not a color I reach for often, but when I do? I like when its a classic tone of red, with slightly jelly tendencies like Ruby Ruby. And given the fact that there are all sorts of Independence Day festivities coming up... red nails are just one way to show a little patriotism! 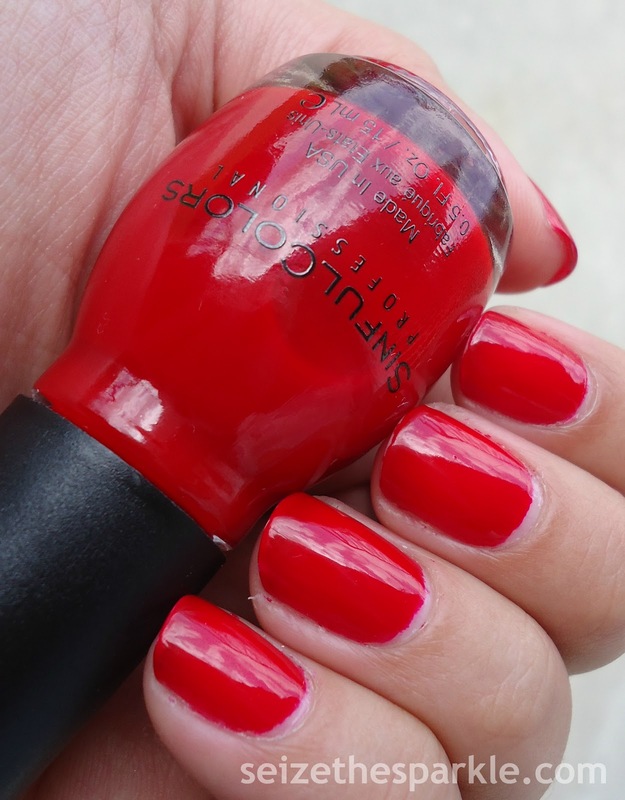 Ruby Ruby is a bright red jellyish creme polish. Application was easy and flawless. Just three coats for what you see in my photos! Because this polish does have jelly tendencies, there's a little VNL, (visible nail line) but it's not as noticeable in person as it is in the pics. In my opinion, the jelly finish and resulting shine are definitely worth a tiny little bit of VNL! 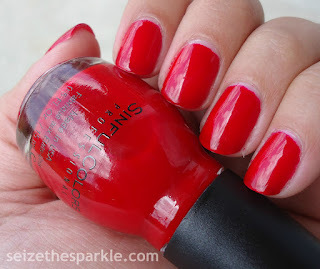 Ruby Ruby is part of SinfulColors Having a Blast Collection. You can find it on display at Walgreens and other mass retailers for $1.99 a bottle! The full Having a Blast Collection also contains Blue By You, Green Ocean, Hot Spot, Out of This World, Snow Me White, and Star Blast-Off. 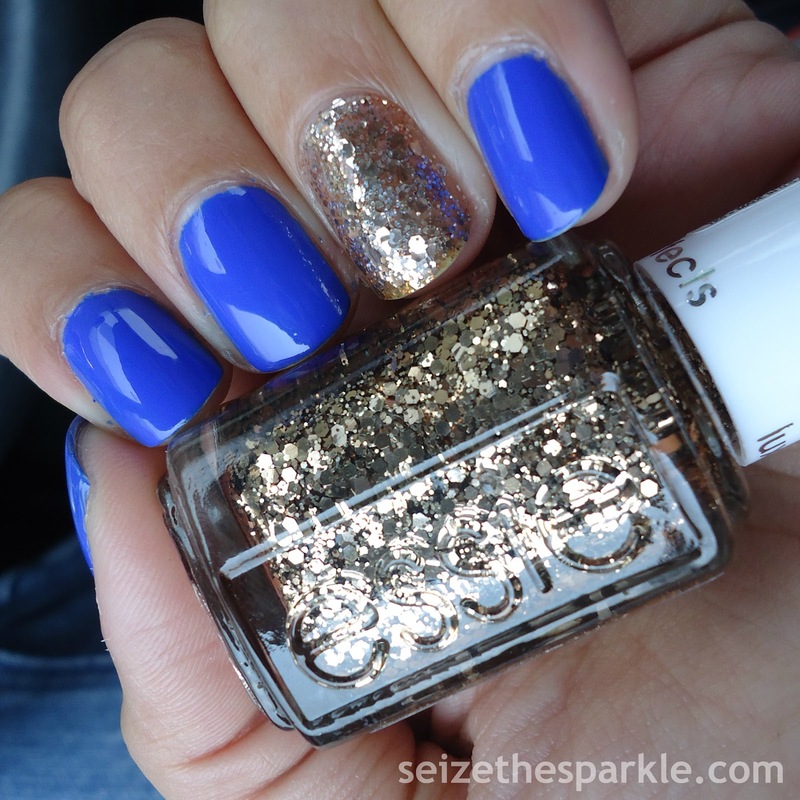 Follow SinfulColors on Facebook, Instagram, and Twitter! 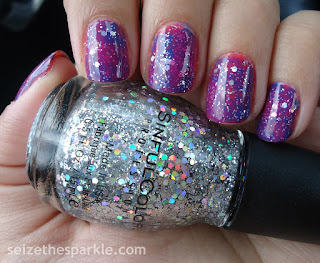 Back when textured polishes became a thing, (late 2013) Sally Hansen came out with their Sugar Coat and Sugar Shimmer line. 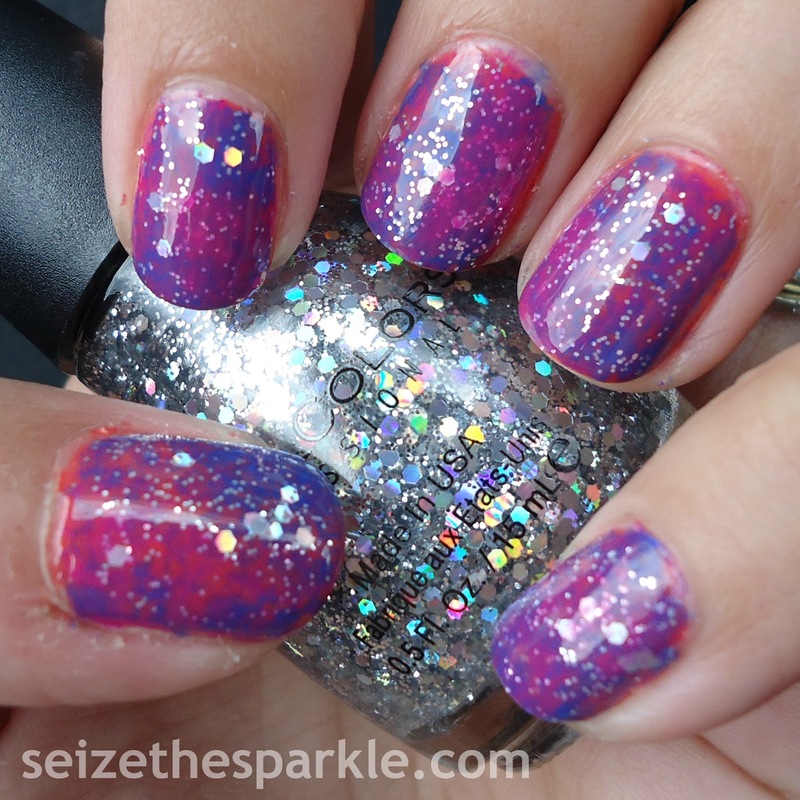 I really loved Pink Sprinkle, so I'm pretty sure that's why I picked Work of Tart. Sadly, it sat in my stash for over a year before I was actually able to try it. Applicationwise, I can't really complain about Work of Tart. It went on nicely enough, and the formula didn't build up on the brush too heavily while I was applying. The polish went on cleanly, too. That's something I love about textured polishes. No flooding into the cuticles or anything. Work of Tart went on well, and it's a nice enough color, but I was a little disappointed by the lack of sparkle. 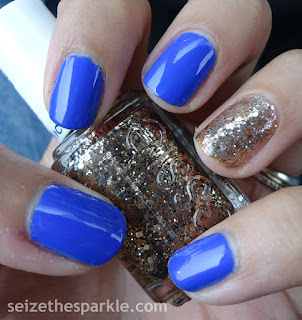 Maybe I'm too used to the texture polishes that are loaded with glitter these days? I think that could be it. In this one, the glittery gold just sort of blends in, and it's not built into the texture. It's not bad, it just is really lacking in the sparkle department, you know? 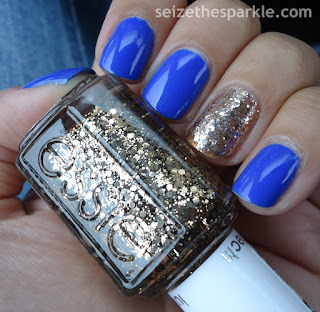 So, as much as I would love to leave this on, I think I'll be switching polish again tonight. Or at least adding some sort of shimmer polish to Work of Tart. I still have a lot of nail polish to put away. I made it through orange, yellow, green, teal, blue, and purple last night, but that only filled up 4 drawers. I've still got pink, red, tan, grey, black, and glitter left to go! Wish me luck!!! Blindingly bright purple is thee best way I can think of to describe Violet-Vibes! 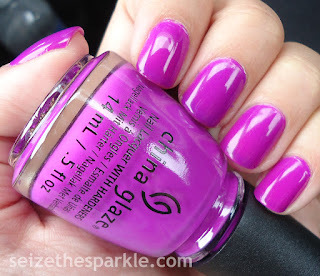 It's one of 2 neon purples in the Electric Nights collection. So pretty! Application was great with Violet-Vibes... three easy coats and done. Oddly, I see a little patchiness in the photos that isn't really there in real life. So... maybe four coats next time? Neon polishes do tend to be more on the sheer side. Aaaaand it probably doesn't help that I'm not painting in my normal Sparkle Studio. Did I mention we moved? And that Mr. Sparkle came home? So... the Sparkle Studio has moved once again, and is a little bit of a disaster at the moment. That 2nd Helmer? Mr. Sparkle definitely put it together for me. Procrastination Station... what?!? So, for the time being, I'm painting while sitting on the floor, in not the best but not awful lighting, using my train case as a desk. Tonight's task definitely consists of organizing my sparklestash into 2 Helmers. I'll go into this a little bit more in a separate post, though. For now... back to Violet-Vibes! This was purchased alongside DJ Blew My Mind and Red-Y to Rave. In all honesty, Peanut totally picked it out to paint her toenails with. 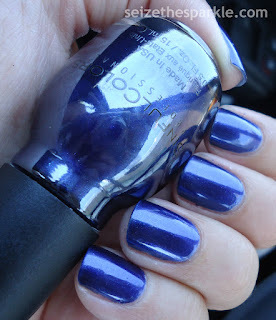 But like most of her other polish choices, I ended up using it first. She'll get there one day, but it is really hard for her to sit still for a pedicure right now! In a perfect world, I'd like to use this as a base for whatever prompt Fishbowl Friday throws me. So we'll have to see. I'm definitely ready to flex some creative muscles, though! Ohhhh what a week it has been. There's so much going on, between moving into Le Nouveau Chez Sparkle, getting Peanut adjusted to said new Maison, new Bedroom, aaaaand her big girl bed, plus Mr. Sparkle coming home? Craaaaaziness! When I sit down to think about it, through all the change of the past 2 or so years, this blog has been such a constant. I've really needed that. And for the past 32 weeks, so has this series! So, despite all the packing, unpacking, scavenging, to-do lists, and organizing of all the things... it's nice to be able to pick a prompt out of the Fishbowl, just like every other Friday. 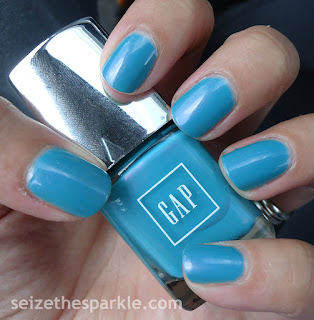 I give you... TURQUOISE nails! To start off, let me apologize for the fact that these really only look like they're turquoise in the photos. 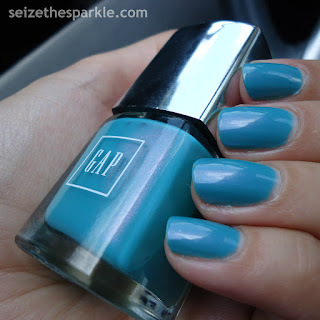 In reality, Bright Pool is much more of a dusty teal. In fact, the last time I wore this in a layering, I used my iPhone rather than my Sony Cybershot. This time around, I stuck with the Cybershot. So... there's actually a little more of a green tinge to this than what you're seeing here. As much as I would love to sit down and paint my nails as usual this evening, it happens to be thee evening I've been waiting for, precipitating the weekend I've been looking forward to, and the time in general that Mr. Sparkle, Peanut, and I have all been counting down to. Mr. Sparkle coming home. For good this time. So... Happy Friday... hope you have a GREAT Weekend. I know that I'm definitely going to! It's time for a sparklepack reunion... aaaand it feeeeels so goooooood!!! I don't know about you, but I love the look of white nails during any season, especially Summer. It's got that whole fresh and chic vibe going on. And this is one of the first white polishes I've used that hasn't been problematic! Snow Me White FTW!!! Today, my nails are fresh, happy, blank little canvases. And I kind of like them that way! It's funny... I read a lot about how Snow Me White was the perfect white and a great base for nail art, but I never really tried to see if the rumors were true! I was honestly surprised that this polish covered so well in just 3 coats. No streaks, and if I'm not mistaken, a little bit of self-leveling going on. Nothing wrong with that! 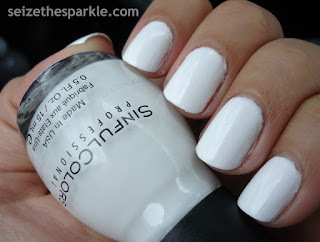 Snow Me White is a really clean, bright pop that I just looooove right now. It honestly would be the perfect canvas for some nail art, but I'm not sure if I want to try anything new right now. It's been 2 nights at Le Nouveau Chez Sparkle and I've still got a ton upon a ton of things to do! So... we'll have to see! In other news, if you haven't checked in a while, SinfulColors Official Website has been redesigned. I've noticed there's been a big push for responsive design all around the web lately. Thankfully, this old theme has it already. But it's got me thinking about trying out a new look, not gonna lie! 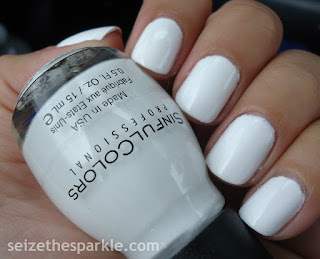 Snow Me White is part of SinfulColors Having a Blast Collection. You can find it on display at Walgreens and other mass retailers for $1.99 a bottle! The full Having a Blast Collection also contains Blue By You, Green Ocean, Hot Spot, Out of This World, Ruby Ruby, and Star Blast-Off. 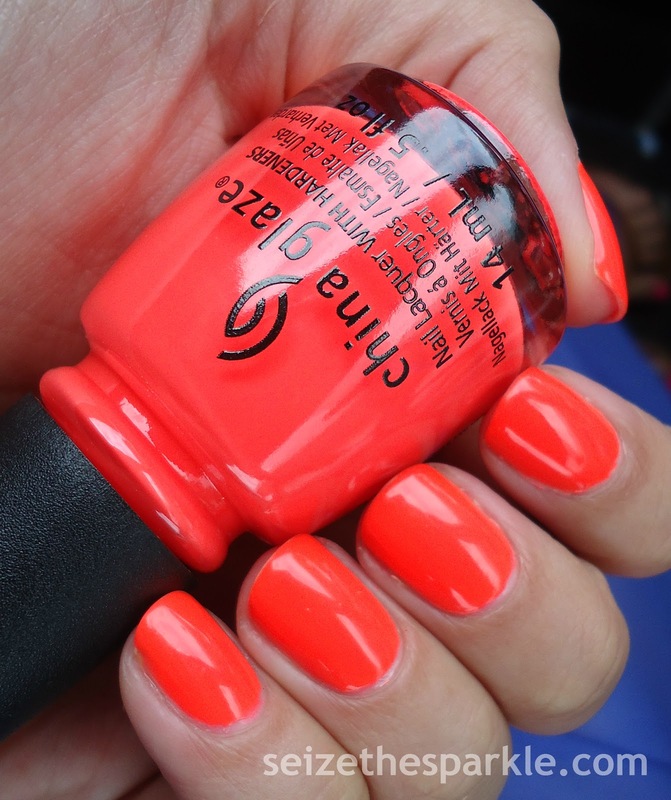 Follow SinfulColors on Facebook, Instagram, and Twitter! 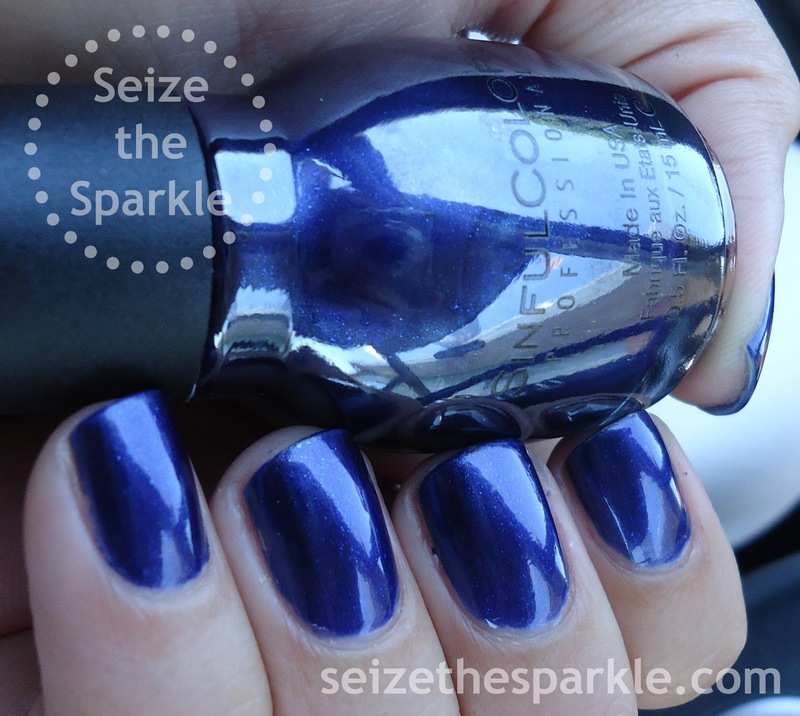 Sparkle is my middle name, and Fuji Fiji is the sparkliest of all the Street Fusion polishes! It's a mix of small silver hex glitter and large holographic silver hex glitter. Great payoff, lots of sparkle! 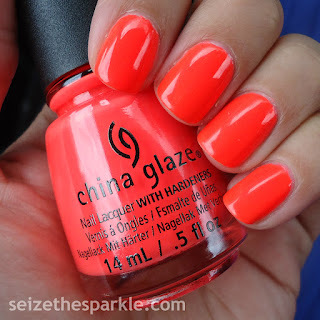 I wore it the other day in an accent mani, and today, I added it to a bright Seriotype featuring all SinfulColors polishes! 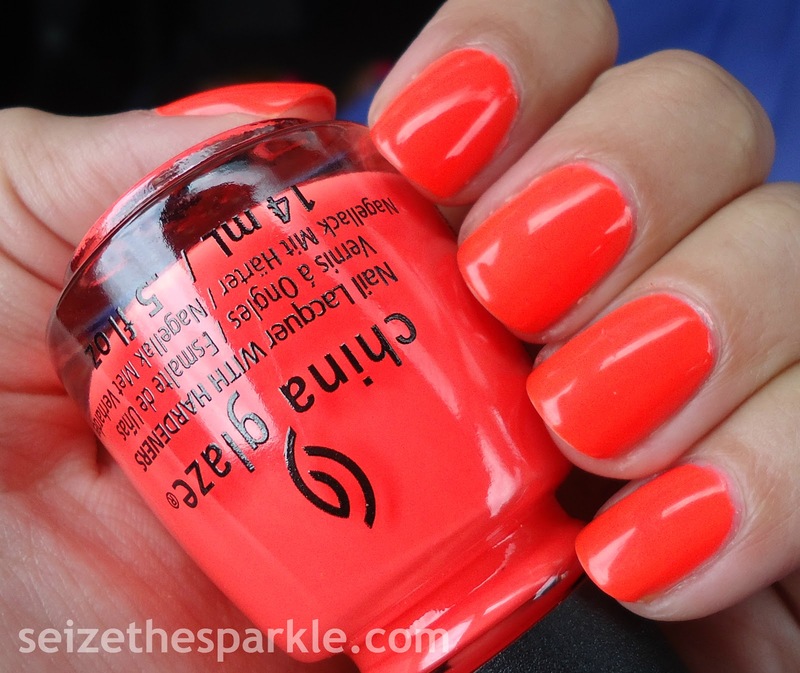 I started out with Boogie Nights, a coral polish from SinfulColors core collection. Using saran wrap and the Seriotype method, I dabbed on Endless Blue and Outrageous until I was happy with the color mix. One coat of Fuji Fiji added just the right amount of sparkle, and then a haphazard swipe of Outrageous over each nail to finish it off! Fuji Fiji is part of SinfulColors Street Fusion Collection. You can find it on display at Walgreens and other mass retailers for $1.99 a bottle! 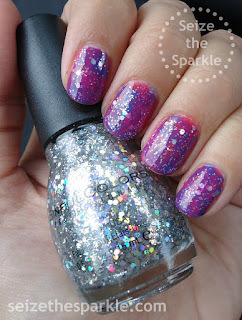 The full Street Fusion Collection also contains 24/7, Baila Baila, Black on Black, Boom Boom, Cherry Blossom, Cinderella, Color Tag, Copper Pot, Courtney Orange, Curry Up, Daredevil, Dream On, Endless Blue, Fierce Fiesta, GoGo Girl, Hottie, Island Coral, Keira Blue, Lavender, Let's Meet, Love Nails, Mamasita, Maroon Fine, Mint Apple, Otaku Anime, Paste-ered, Pink Ansen, Sky Tree, Skylark, Snow Me White, Sugar Sugar, Why Not, and Writing on the Wall. 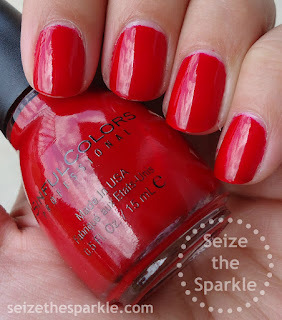 Follow SinfulColors on Facebook, Instagram, and Twitter! 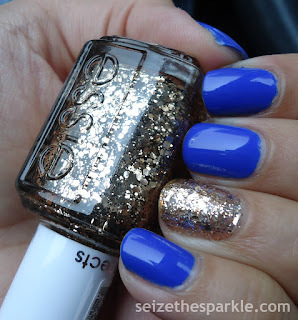 Bright blue and copper are just meant to go together, don't you think? I seriously love this combination. The only thing I wish, is that I had a superfine coppery glitter in my stash. I'm pretty sure I don't have one, but there might be one lurking in the sparklestash. My stash is in the midst of being organized and packed, so... who knows, really? I'll just be glad when it's nice and tidy and all in one place. Endless Blue was a real no brainer for the bright blue. It's seriously becoming a staple favorite of mine. Definitely going to need another bottle! For the copper counterpart of this ACCENT mani... I started out with one coat of Cuprum Veritas, from Rainbow Honey's June mystery bag. It's a little too orange, and rather than remove and start all over, I just tried to balance out the orange with silver glitter in the way of No Reception. I did a couple of coats back and forth between Summit of Style and No Reception to get a little cooler copper color. I just can't resist using tons of layers! As much as I like this layering, it's definitely coming off tonight! I've got a wedding to attend tomorrow and these accents just don't quite go with what I'm planning on wearing! So... that's that, I suppose. Happy Friday... and have a great weekend!! !